Try New Seneca Farms Oatmeal and Fruit for a Healthy Start to your Day! Folks!!! If breakfast is the most important meal of the day (71% adults agree) then why is it 67% of adults polled admit they skip it? What is worse is nearly 60% of US parents admit their children 3-17 also skip breakfast! These are just a few of the findings from the Seneca Farms 2011 Children’s Nutritional Survey conducted by Harris Interactive. Harris Interactive via it QuickQuery online service also found the main reason for adults and children skipping breakfast was time, or lack thereof. With busy lifestyles, taking the time to eat a healthy breakfast has become almost a luxery. Seneca Foods has heard and now presents a new Oatmeal and Fruit product for a healthy quicker breakfast. In less time than it takes to heat a cup of coffee, you can provide yourself and your children a warm healthy breakfast. Two flavors, Oatmeal and Fruit Vanilla Peach and Apple Cinnamon are being introduced this week. No need to add water or milk… just microwave 45 seconds and a nice hot breakfast with real fruit is served. Seneca Farms Oatmeal and Fruit has no trans fats or cholesterol. 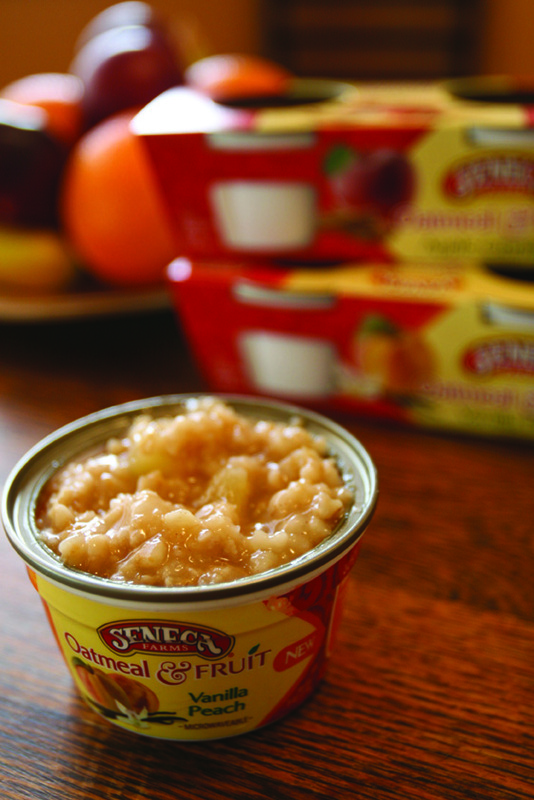 Seneca Farms Oatmeal and Fruit will add more flavors like Cranberry Apple and Maple & Brown Sugar. The new Oatmeal and Fruit are also a great on the go snack. I clearly have to agree that Seneca Farms newest addition to their high quality food line is delicious, easy to prepare, portable addition. You can try the new Seneca Farms Oatmeal and Fruit now and save by going to their Facebook page and downloading a coupon today. Let’s make some changes in our eating habits. Set the example. Eat healthier and start your day of with a great meal. Color it by Numbers Review and Giveaway! Since I am always on the lookout for new programs and ideas for adults and kids, I want to tell youabout an adorable coloring program I found. 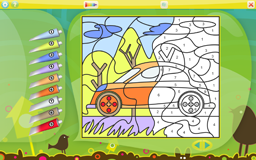 Color it by Numbers is a nice fun program you can purchase and download online. It has three modes for coloring. <Mode 1 will color by number which gives your child practice matching the numbered color with it coresponding space on the picture. <Mode 3 is coloring the picture anyway you want and let your imagination run free. I like Color it by number program because of the educational aspect, but also because you can tailor it to suit you and your childs need. You can even change the preset colors. 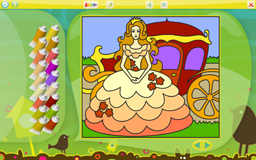 There are many themes to choose from like the Princess, Cars, and Vehicles. 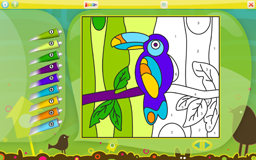 With several pictures to color in each theme, your child can have endless fun. You can download HERE and get the trial version then you can purchase the full version for just $9.99. Color it by Numbers has also kindly agreed to give one Espacularaiesa reader the full versions of Princess, Vehicles, and Animals Color it by Numbers. MANDATORY> Go to Color it by Numbers and comment and tell me something you found there. Bonus Entries> Do any or all you wish. 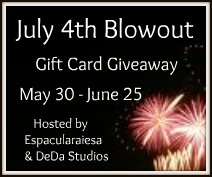 Giveaway ends April 24, 2011 at 11:59. Winner will be notified by email.